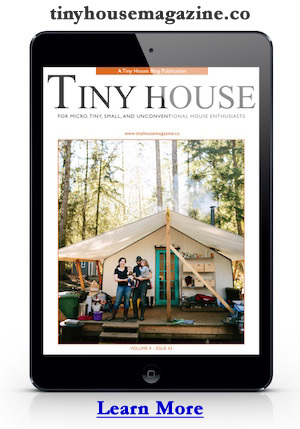 Read and see more of La Casita: Lydia’s Tiny House. This entry was posted in Tiny House and tagged fencl, Lydia, mortgage free, tiny house, tumbleweed. Congrats Cat! You are among a rare breed. Are condos a new trend? …I’m pretty sure those have been around for a while. Since the Roman times, Souris. Mortgage-free on a condo but never free of being in debt on one. Condo associations can assess for money for any reason. Purchasing one means you become partners with all of your neighbors in a non-profit corporation and thereby guarantee all debts, loans, liabilities, lawsuits, construction defects and disaster rebuilds. If you haven’t read neighborsatwar dot com I highly recommend it. Every condo owner and potential buyer should be fully aware of their risks. Good Luck! You are so right! With HOA’s things can get ugly very quickly. And you have to pay $200 + dollars a month or they will take your property if you don’t pay their fees, regardless of whether your condo is paid off or not. Wouldn’t it be nice to share in someone else’s joy? My comment (Wouldn’t it be nice to share in someone else’s joy?) was in response to Cat’s post. I think it is neat when anyone can be mortgage free at a young age. How did you pay off a condo all by yourself at such a young age? I want to get into your line of work, whatever it is, provided it’s legal. Cat, while that is quite an accomplishment, the reason she got an article is because she built her house, which is quite unusual. Why be competitive and negative? Why not just be happy for her? Her accomplishment is not a slap to yours. Now this is an article about a small home built by the owner, so a bit different. However, you have still made a great accomplishment, yourself! You seriously might want to contact your local paper with your story. Your story in the home or finance section would be an inspiration to others on how to be mortgage-free with a condo at such a young age! Folks won’t know to write a story about you unless you contact them. Best of luck and, again, well done! Was it a Tiny Condo? I, too, am entranced by tiny houses. I am 70 yes old with a limited income and simple needs. Having a small living space is a perfect choice for me. If like some details. Did you buy a kit or how to get started? Its that she built the place herself – at 22. Great Job, you too Cat!! You’re a good person for congratulating both people here,Kristine! :D well done! Any kind of mortgage freedom is an accomplishment in my book – especially for someone in their 20’s. Imagine the advantage of eliminating rent and having some kind of equity at that age. Definitely better then living with parents and that’s what many are faced with at that age. This is beautiful! Mortgage free at 22 and building it yourself is indeed impressive. I’m just getting into researching tiny homes and hope to be in one within a few years. I only wish there were more pictures! Does she have a blog or somewhere else we can access more photos? Mortgage free but where do you put/park it? Isn’t there a payment for the spot? The cost to park varies. Some folks buy land, rent space, trade for space, etc. There are usually living costs like utilities too. This is truly inspiring for all to hear,Congratulations. I see a great future for you. This is such a cool concept! I loved the article then I started reading the comments! Just don’t comment if you can’t be cool! It’s beautiful. Congratulations on your tiny home and a job well done. Very proud of a 22 year old with a goal and the desire to built your own home! It is very pretty! Enjoy without the stress of worrying about paying rent or house payments! Way to go Lydia! Nothing like living in a house you built yourself. Being mortgage free at any age is great. But building your home with your own hands AND being mortgage free? Yeah, sorry, that totally trumps moving into a pre-built condo, and definitely merits an article. Also, Tiny House = no condo fees. Cat… if you can look me in the webcam and tell me that you earned every penny for your condo yourself, with no help from mom and dad, then you totally *should* contact a newspaper to do a feature article on how young people can be independent and self-sufficient, without relying on their parents to get them started financially in life. That’s knowledge that should be shared! Cool house excalant work love the table that opens but how does she cook where does she sleep and how does she shower and use the bathroom? Cat prove u paid for urs by urself !!! yay to this young woman! I am a fan of the tiny house trend. Are there any parallel trends to get communities to modify zoning? Does mortgage free mean debt free? I keep hearing and reading “mortgage free” and wonder if there is any debt at all associated with these homes. It would be great if it was but I cannot imagine there is no debt at all. Did they save for years and collect materials? Was money willed to them or given to them? How is it paid for if there is no debt? That is the part I want to know. I think it depends on the individual. There are multiple paths to financial freedom – sometimes that involves a loan, sometimes savings. It always involves reducing spend and/or increasing income. Not automatically, but generally. 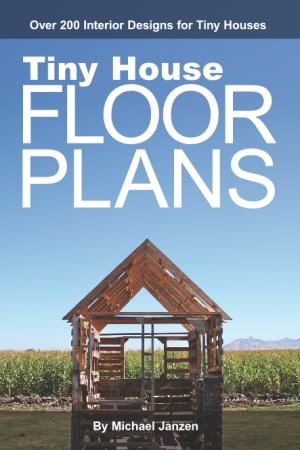 The idea is that you can build a tiny home for less than a down payment on a regular house. Way to go! When I was 22 I didn’t have a choice on housing with no credit or money to buy material! All I had was roommate share rent on an apt! I am proud of this girl for thinking outside the box!